Jayshree Textiles is a cotton yarn dyeing and fabric bleaching company located in Erode, Tamil Nadu, India. Jayshree’s dyeing and bleaching unit produces about 250 kilo liters per day (KLD) of wastewater. This textile eﬄuent contains considerable amounts of hazardous pollutants – recalcitrant organic, colored, toxicant, surfactant and chlorinated compounds and salts, as well as the presence of heavy metals. Environmental regulations have made mandatory the treatment of textile eﬄuent before allowing it to ﬂow into the natural ecological system. The lack of fresh water availability has also necessitated that wastewater be treated for recycle and reuse for Jayshree’s textile process. To treat their wastewater, Jayshree initially installed conventional pretreatment consisting of coagulation and ﬂocculation to take care of the suspended solids. After the pretreatment, a conventional biological process was implemented for biological oxygen demand (BOD) & chemical oxygen demand (COD) removal. 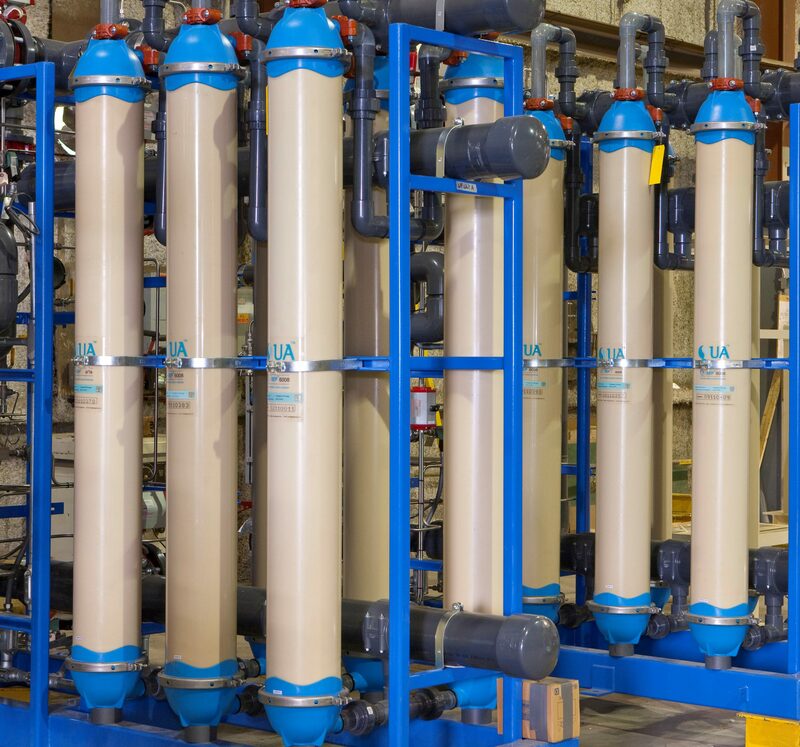 The ﬁnal treated eﬄuent after clariﬁcation was taken through ﬁltration followed by an ultraﬁltration (UF) and reverse osmosis (RO) system. The RO treated water was then recycled and reused for textile processing. 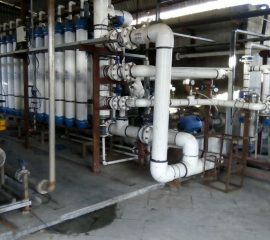 The feed water to the UF system was tertiary treated textile eﬄuent. The UF plant was conﬁgured with another manufacturer’s membranes and was designed for an output capacity of 12m3/hr. A crossﬂow of 5m3/hr was being carried out to reduce the impact on the membrane due to the challenging water which was prone to fouling. 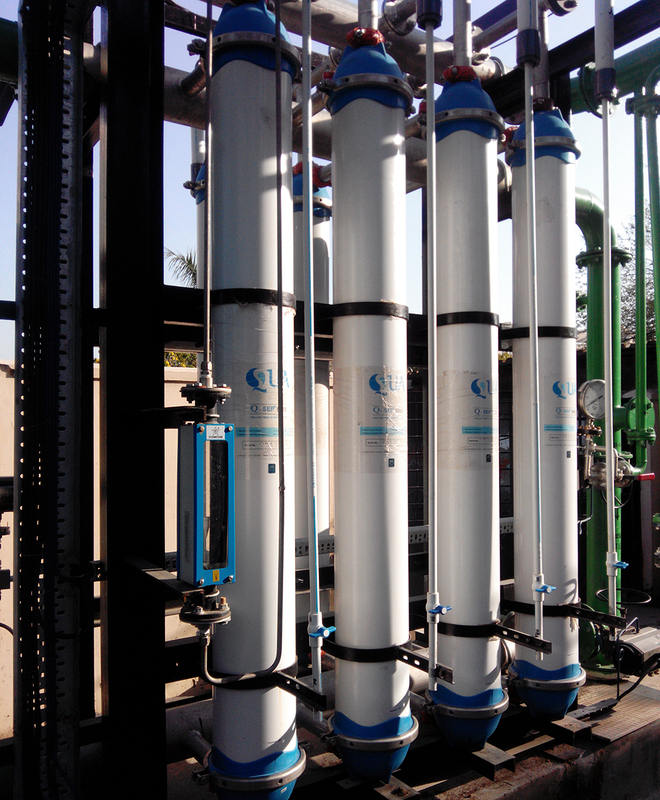 The client encountered issues with the ultraﬁltration membrane system soon after initial installation. Textile wastewaters are characterized by extreme ﬂuctu-ations in many parameters such as BOD, COD, pH, color and salinity. 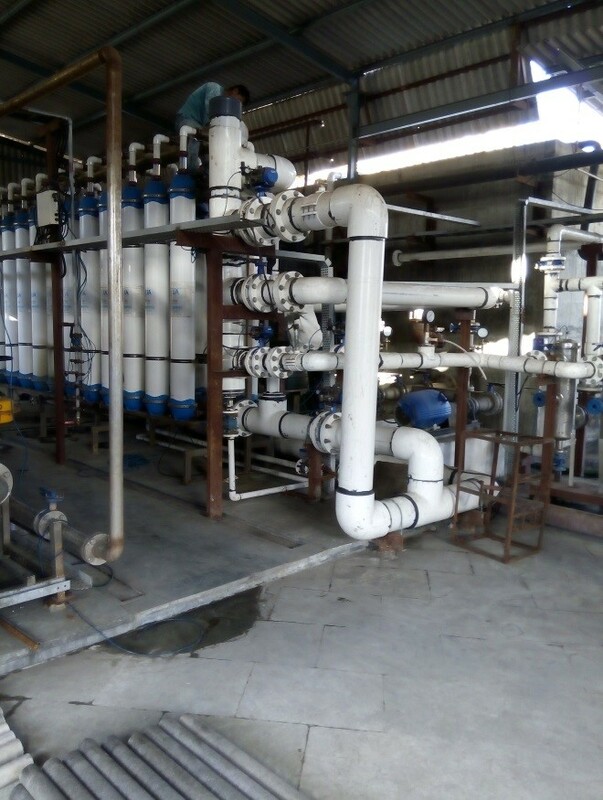 At Jayshree Textiles, the UF feed water – sec-ondary treated eﬄuent – had higher than expected BOD and COD, with BOD in the range of 50-150 ppm and COD in the range of 400-700 ppm. The UF membranes installed were not able to perform under the load of such harsh waters. They began foul-ing quickly and the SDI started rising beyond 5 from the third month following commissioning onwards. Fre-quent cleaning of the UF and RO systems was required, resulting in increased downtimes. The membranes were unable to adequately treat the water and meet the ex-pected performance criteria. The situation deteriorated to such an extent that CIP was being done every other day resulting in a drop in per-meate ﬂow to as low as 6-7 m3/hr and a rise in turbidity and SDI at the outlet. Jayshree was extremely dissatisﬁed with the performance of the membranes and the sup-port they were getting from the supplier, so they decided to explore other UF options to solve the problem. The client found QUA Q-SEP® hollow ﬁber UF membranes to be the most suitable and robust solution for their polluted eﬄuent. Q-SEP, with its Cloud Point Precipitation technology, ensures a high pore density along the length of the ﬁber and a uniform narrow pore size distribution in the membrane, and has proven to be extremely eﬀective with challenging eﬄuents and with achieving the desired SDI. Jayshree decided to replace the other manufacturer’s membranes with 4 Q-SEP 6008 with a cross ﬂow design to handle the challenging water. Q-SEP’s narrow pore size distribution allows the membrane to produce water with a low silt density index (SDI). The lower product SDI leads to less frequent and easier cleaning of downstream RO membranes. The performance of the Q SEP® membrane on tertiary treated textile waste recycle application has been very encouraging. 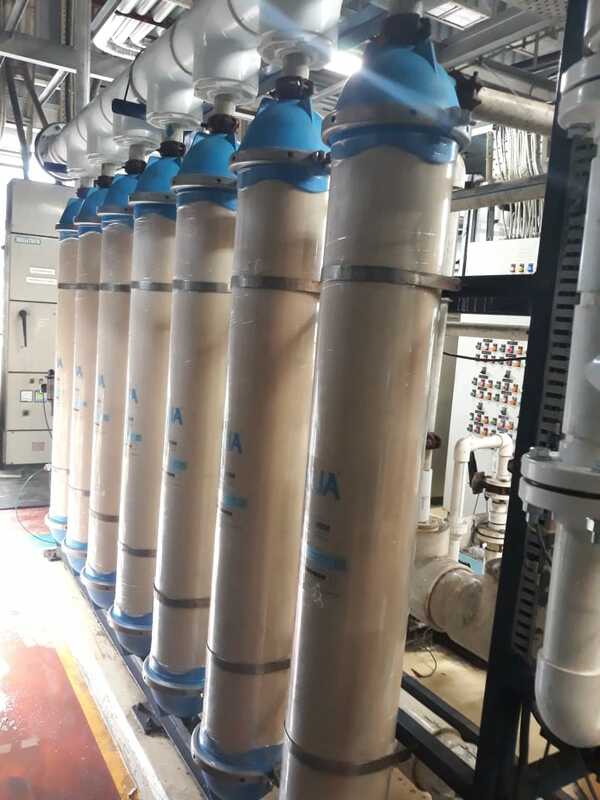 The Q-SEP ultraﬁltration system was installed for pretreatment to the RO system, to safeguard the RO membranes from fouling due to ﬁne colloidal impurities, and the system has been running successfully for the last two years. The feed water COD to the Q-SEP membranes has been constantly high over the 2 years, in the range of 400 ppm to 770 ppm. 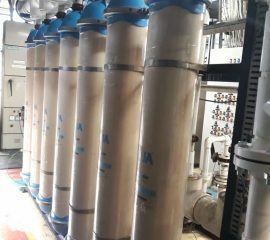 Despite this, the permeate ﬂow of the UF system has been consistently maintained at 12 m3/hr on a day to day basis without any loss in gross output, and the cross ﬂow rate has been consistently maintained. Chemically Enhanced Backwash is eﬀective at helping maintain the transmembrane pressure within range. The product water turbidity has been consistently less than 0.1 NTU on all days and SDI has been less than 3 since Q-SEP has been in operation. This superior water quality eﬀectively meets the RO membrane inlet requirement with a low operating cost. 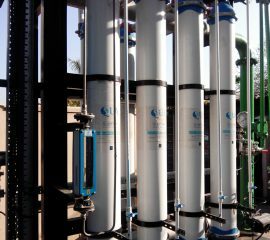 Q-SEP Ultraﬁltration allows Jayshree to have a successful, long-term solution for their textile process water.